By now you probably fall into one of three groups: those that are tired of games from Telltale, those that love them, and the rest of us who find them competent enough to play but secretly hope that one day they’ll recapture the magic. Well, nothing has changed because the final season of The Walking Dead is a decent finish for a great video game character and definitely more of the same. Given the turmoil during the game’s development, this is both impressive and maybe partly why the company now ceases to exist. Telltale Games are no more. The team that created the first The Walking Dead game in 2012 were unable to complete the Final Season due to insolvency. Skybound Entertainment, the studio in charge of the franchise, swooped in and picked up many of the original developers to finish the last two episodes of the four episode season. Not finishing Clementine’s story would have been cruel, just as cruel as not getting follow-ups for Telltale’s best games; Wolf Among Us 2 was planned for release this year, but we’ll likely never see Bigby’s big bad sequel, or another Tales from the Borderlands, arguably their best and funniest title. It’s sad to see a game studio close, but at least they’ve created one more story. Clementine is sixteen now and she is back for one last hurrah. Like the second season, you’ll be controlling her. It’s a relief to be back in the shoes of a genuinely great character that we’ve seen grow over the years. She’s not as crass as she was in the third season because she has a small boy under her wing. Alvin Jr. (aka AJ) is the five year-old tagalong and he will follow the leader like Clem did with Lee in the first season. What you say and do will determine how he reacts. You will become mentor, mother, mender, and minder . You can let him swear or encourage him to be stoic. In most cases your lessons only have a minor impact, changing the odd line of dialogue, but some late calls will be deadly. 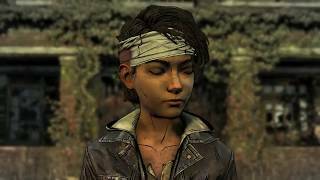 The pairing of Clem with AJ has a nostalgic feel that mirrors the first season in a good way. AJ is a much better survivor than Clem was at a young age. He can shoot and stab with decent proficiency. Clem has forced him to grow up fast, which unfortunately makes him less endearing. He is annoying at times, although you can alter this somewhat. In any case, he will lash out, as any child would in a world of death. Life on the road is taking its toll, and they both need a home. They might have found a home at Ericson Academy, a boarding school for troubled youth. When the dead started walking, the adult supervisors abandoned the school and left the children to fend for themselves. Ericson is well-fortified and isolated, so it could be perfect. As a bonus, the kids are mostly friendly and of a similar age. But beneath the innocent veneer is a dark secret. Clem and AJ are thrown out after discovering something that the leader hid from the other kids. This is an annoying turnabout for the story, although it happens after an excellent night scene. Back on the road again, Clem comes across a group of hostile adults who want something inside the school. She escapes and returns to Ericson, offering to help defend it. The second half of the season becomes kids versus adults, innocents versus the ruthless, and weak versus strong. With Clem’s experience, she is the school’s best chance of victory. To make it more personal, one of the adult adversaries is a familiar face—somebody from a previous season whose fate was left unresolved. While it’s interesting to see how this returning character has changed since their last fateful appearance, it creates feelings of frustration as they cannot be reasoned with and there is insufficient discussion about the pivotal events that led to the separation. The main narrative has shocking moments, not unlike the previous seasons. Deaths and injuries are often reserved for the end of episodes which is normal for the series, but starting to get old. Despite some big and gory moments, the season never hits the emotional highs of its predecessors, possibly because AJ can be both a wet blanket and a patchwork quilt. Much of Clem’s adventure takes place in or around the school, particularly in the bland courtyard area. The school is rather empty and uninteresting, with only a few explorable areas, but other kids will be lingering around, and you might need to convince them that you are useful or help AJ apologise for being a little jerk. The basic structure of chatting to people in a fortified location is eerily similar to the motel location in the third episode of the first season, before everything went to hell. Nothing has evolved since then, and some parts have actually regressed. Conversations are shallow, with no going back and forth between different people. Compared to Lee, who was investigating and revealing personal information, Clem has little chats in a linear fashion. And no matter what dialogue option you select, things seem to end up the same. Choice and consequence is of little concern. The story is a straight line that occasionally splits into two, only to join again a while later. The biggest changes result in Clem visiting one of two locations, like fishing near a river or hunting rabbits in the woods. These changes aren’t significant enough to make it worth replaying but they do reveal more about characters. Most of the other choices merely swap roles between Violet and Louis, two of the most prominent characters. Louis is a likable jokester, and he avoids responsibility by not taking anything seriously. Violet is strong and mysterious, but she can also be abrasive. Both are potential love interests for Clem, and they can be injured or killed, but their deaths only happen late, if at all. Unlike the fountain of death that drenched us in the latter parts of the first two seasons, the final chapter avoids the morbid cascade. The few deaths that happen generally make sense and some can be avoided. Like the third season, the reduced kill count is a great improvement but also ironic because we’ll probably never see any of these characters again. And it’s a shame because there is a good balance of character types in the school. Not all are strong—the cook, Omar, lacks personality—but there are enough quirks and conflicts to make scenes interesting. There are opportunities to learn more about them, by playing a game of truth or dare or asking questions during a party. These activities are initially fun but there is not enough depth or variation in the dialogue to make them really excel. Each of the four episodes has a consistent length because there is limited gameplay and dialogue cannot be skipped. The first three episodes are a bit over two hours long and they all have a comprehensive arc which is much better for pacing than the choppy third season. The final episode is shorter, but it retains the quality of the others. It’s unlikely that anybody will notice the problems going on for Telltale during development of this season, and that’s a great thing. By now you’re probably used to how Telltale games actually play. Interaction is shallow and sparse, requiring one button press between long conversations. No thought process is required because the world only contains useful items and a few collectibles. Quick-time events are generally standard and still awful. The best action bits are a few sequences where Clem has freedom to move and attack. She can use a knife to stun walkers, to keep them from grouping up, before finishing them off. A bow with arrows makes it play bit like a shooter, although its implementation is inconsistent and clunky. Both types of combat are an effort to make it more like a game, but they are insubstantial and about two seasons too late. The Walking Dead games have always been limited when it comes to the color palette, but the final season takes it one step further by using every possible shade of brown. Objects in the distance have even less color, with a sharpening filter that makes them look like monochrome sketches receding into paper. It’s an interesting visual style but one that mutes panoramas and flattens everything. Animations for character movements are satisfactory, with an equal proportion of ghastly grins and clever lip wobbles. There were some nuisance delays after doing minor tasks but no severe bugs. Stuttering occurred through a few scenes, but the framerate was generally fine. So we come to the end of the line for both Clementine and Telltale Games. It’s hard to predict what will become of the developers, but the industry would genuinely benefit from having more storytellers who can write great characters and make you care about them. 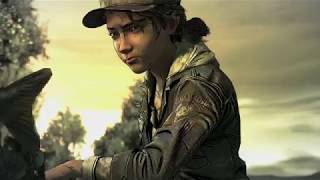 The Final Season should make you reflect on Clementine’s entire journey, from the cannibals in season one to the ice catastrophe of the second season. While the quality has waned in recent times, it’s still a story that should be experienced from go to woe. The Final Season is a decent conclusion for our hardened heroine, with appealing characters, meaty episodes, and many nostalgic moments. Given the disaster that happened to Telltale Games behind the scenes, it’s fortunate we got an ending at all. But the fourth season is also illustrative of Telltale’s own unresolved battles. Just as the Ericson kids fought adults, Telltale fought against the natural maturing of their own games, by offering limited choice, inadequate interaction, conversation simplification, and worthless quick-time events. 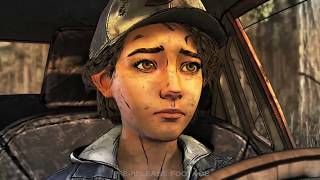 There are always casualties in war, and Telltale Games may have survived if they had somebody amazing like Clementine to show them the way. A “distance” filter reduces color and increases contrast, making for an interesting visual effect in a generally bland world. Voice work is good across the board. Animations are alright, with some adequate facial expressions. Gameplay has rarely been a strong component of the new Telltale games, but things are even more dire here. A few freeform action segments prevent it from being a total write-off. Clementine’s final chapter lacks emotion but it has good characters, comprehensive episodes and plenty of reminiscing. Player choice has little impact and so the season is not really worth replaying. Runs fine, although some stutters were observed and interacting with objects resulted in some delays. With more interaction and better player choice, The Walking Dead: The Final Season might have transcended its predecessors. But as it stands, Clem’s adequate goodbye is aided by strong characters, long episodes, and apt nostalgia.